Well hello there! 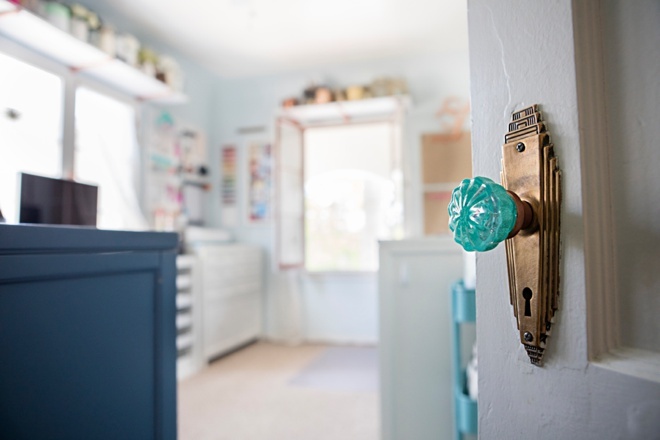 I have been planning this day for months now… and I’m honored to finally share the actual reveal of my awesome new craft space! Seeing the images here on my blog, brings tears to my eyes and warms my heart like nothing else could. 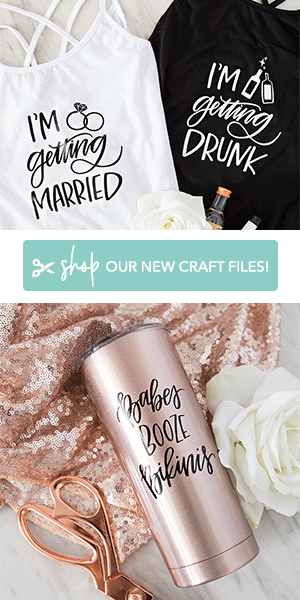 Having the opportunity to create my very own craft + blog workspace like this is a lifelong dream come true… and all I can say is that hard work truly pays off. Today I’ll be talking about how the Martha Stewart Living™ Craft Space Furniture at Home Decorators Collection was the largest element to my room design and how I built my space around it. This furniture is made specifically for the “crafter” which fit my needs professionally and personally. It’s actually modeled after Martha’s personal craft room furniture and so of course you know I love that. Just in case you fall head over heels with my furniture, from now until 8/17/15 – all organizing essentials from Home Decorators are 20% off – which includes these craft furniture pieces and more! Guess what else… I’m giving a piece of this fab furniture away at the end of the post! 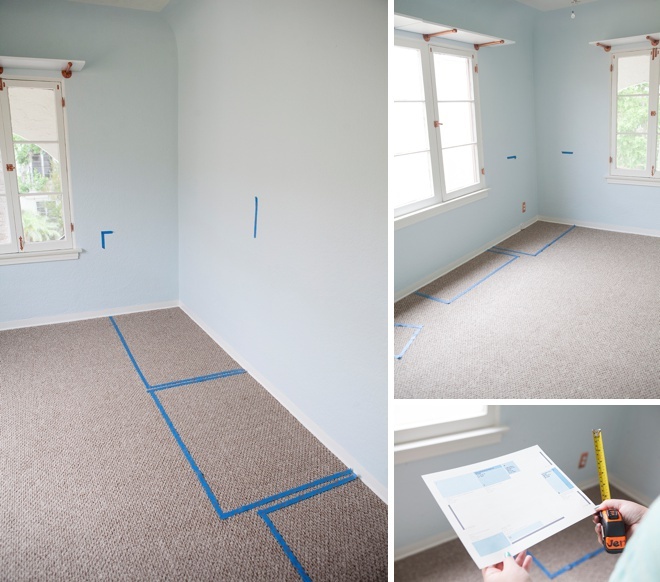 The most helpful thing I did during the design process was to tape off my floor and walls to mimic where future furniture and other elements would be. This gave me a much better feeling for the space and visually helped me to plan the rest of the design. I did this multiple times before I came to the best layout and once I did, I made myself a “blueprint” of sorts that I could carry around while shopping. I created it in Photoshop and added all measurements including wall, window, shelves, and furniture. I kept one folded up in my purse so that when I was out and saw something I wanted, I would know for sure if it would fit into my space or not. 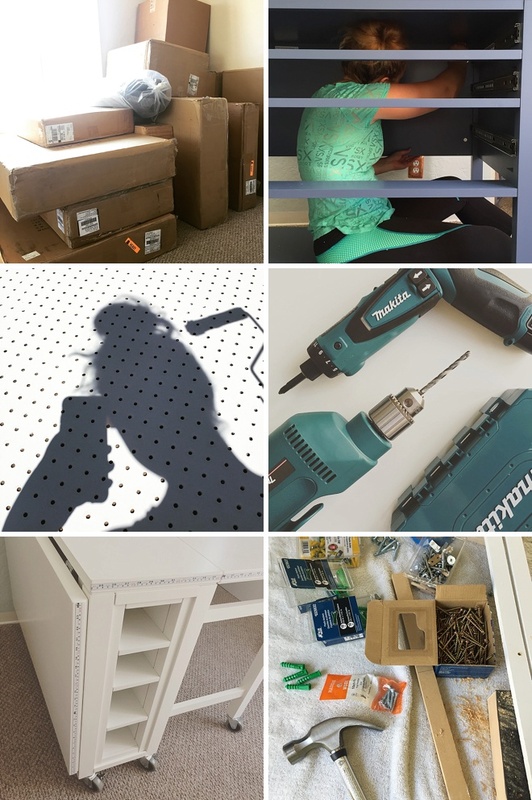 Instead of sharing a bunch of boring and sweaty pictures, of days upon days of me putting this place together… I figured I’d just get down to it and share the goods! 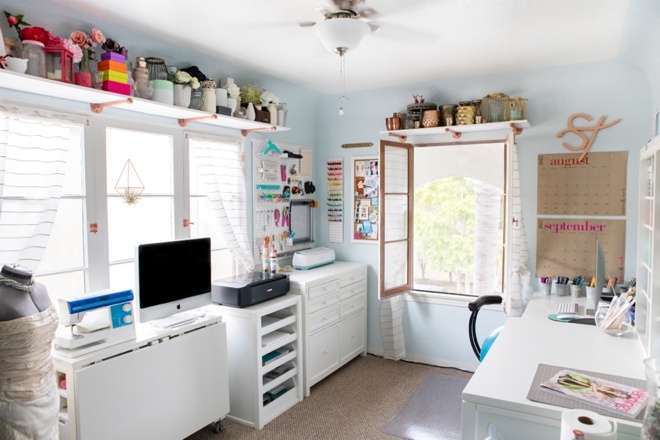 So without further ado, welcome to my new craft room + blog office! Can you say paint + glitter heaven? Having all my paint, glitter, and adhesive – out in the open was incredibly important to me as I use these items the most. Being able to quickly see what I have makes my creation process that much easier. 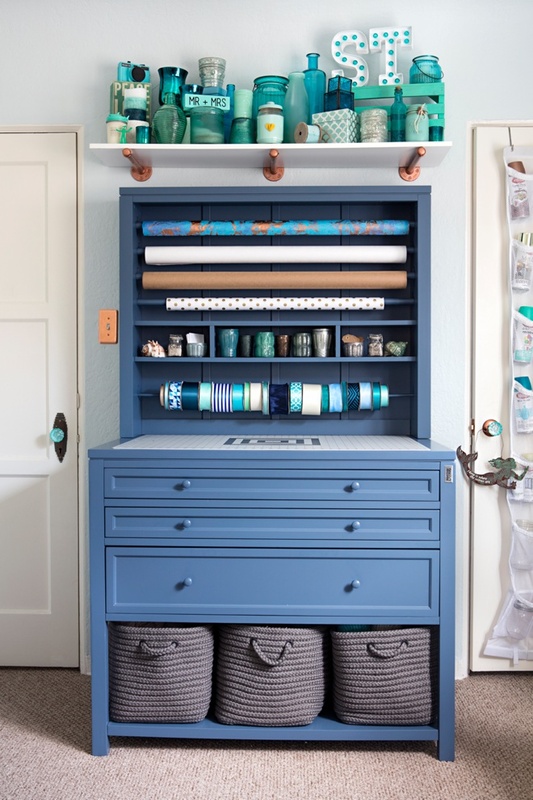 The majority of my items are tucked away inside of Martha Stewart Living™ Craft Space Furniture, but the way that each piece is designed specifically for craft supplies makes everything incredibly easy to access, even though it’s not out in the open. Stay tuned, as you’ll get to see a peek inside my drawers tomorrow! This is where I work – all day, everyday – and I LOVE it. To learn more about this gallery wall you can visit this post. Transitioning from standing all day as a hair dresser, to sitting all day as a blogger has not been easy – but my ball chair has really helped. I put myself in this corner on purpose so that on my left I could look out the window at all the beach goers and on my right I can actually look all the way down the hall to see my husband in his office. It’s a small little detail but I love the way my desk sits about 5″ lower than my flat file cabinet as it makes me feel like I’m in a little work cove. I LOVE my giant calendar. I have two months in view at all time and although I don’t mark lots of dates on it, I can visually see where I’m at with a quick glance. Those paper towels on the right come in super handy, from paint spills to coffee spills – lol. My lovely cat Marina usually sleeps on the top of the flat file cabinet all day with me while I’m working, you’ll see a snap of that tomorrow! One of my favorite added touches in the room are my ombré painted drawers! 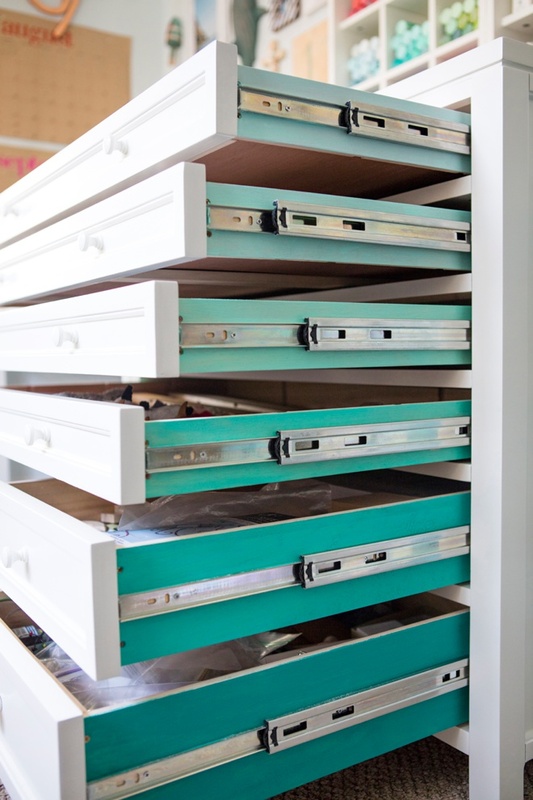 This took some careful planning on my part as each drawer side needed to be painted before I assembled the cabinet… but it was worth it! 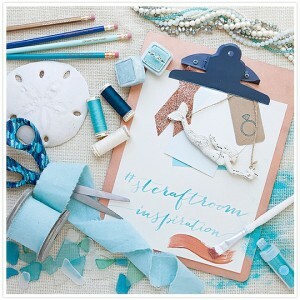 I mixed four different colors of Martha Stewart Crafts™ satin paint to achieve this look: Mermaid Teal, Diving Board, Beach Glass and Sea Lavender. (insert like 20 heart eye emojis here). I set up 4 work stations for myself in the room and this one is by far my favorite. Most of my projects start right here and I love that all the tools I use the most are right at my finger tips. 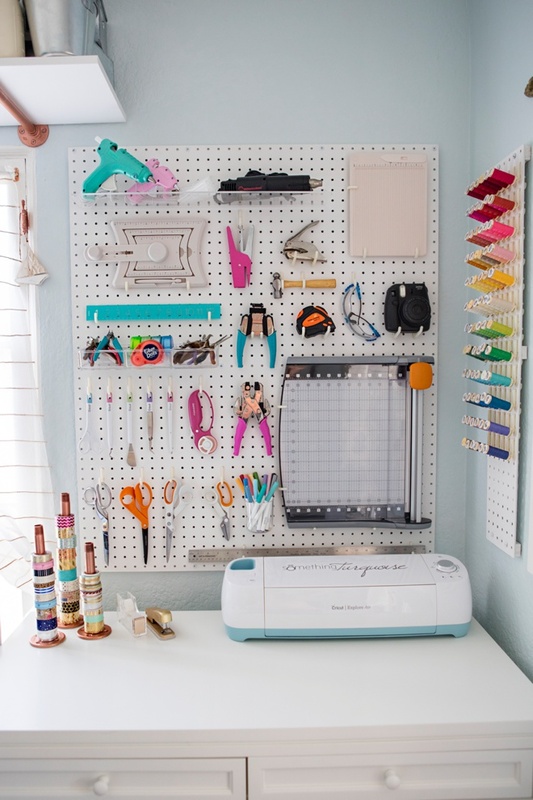 My Cricut Air has all the room in the world to do it’s thing, my paper trimmer has it’s very own place (in my last space there was never a good place to put it), my thread wall – OMG, and my washi tape – dying. 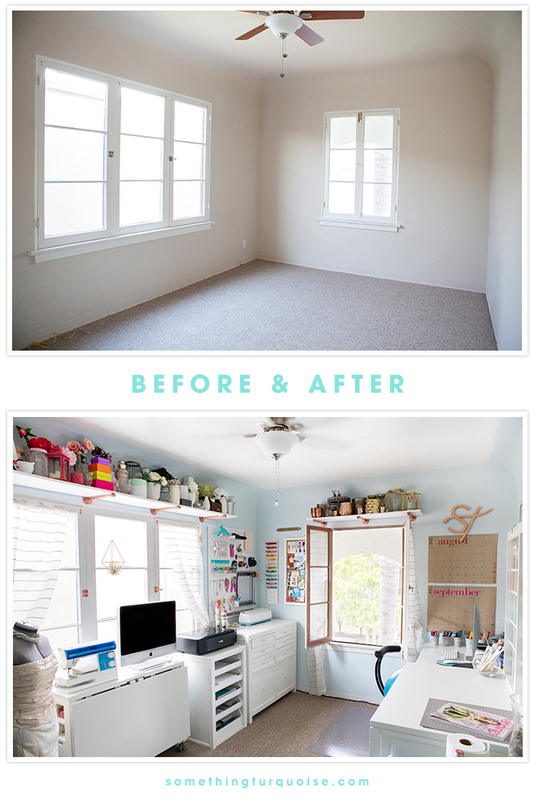 I’m sharing more details about this space tomorrow! A friend of mine was getting rid of her dress form like a year ago and I quickly snatched it up. My mom held onto it for me for like a year or more, since I didn’t have the space – but I sure do now! Just for the shoot I put my wedding dress on it… I wish I could keep it out all the time but my sweet cat Marina thinks it’s the perfect blanket so we can’t have that. You can see my collapsible craft table here with my sewing machine and second computer resting on top of it. 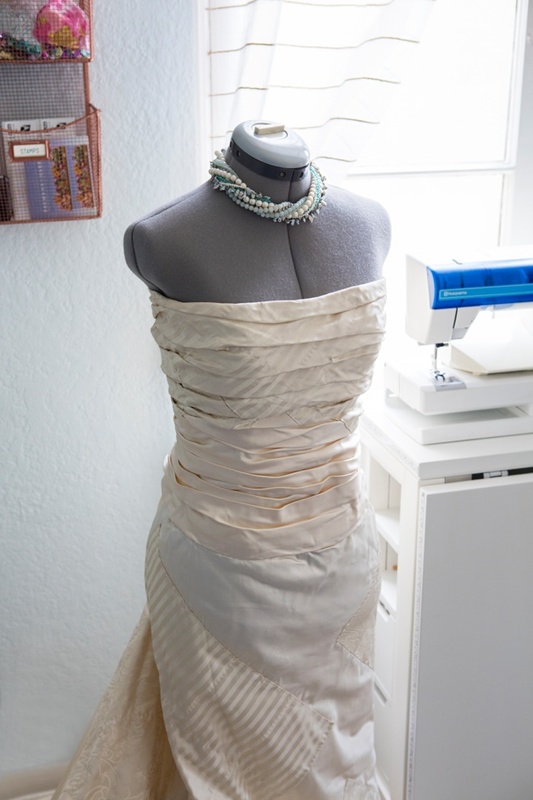 If I need to sew something small I can just flip the side up and I’m ready to go… if I need to sew something big or need a bigger space to work, I can pull the entire thing into the center of the room and fully expand it, which is 5 feet of table! If my assistant needs to come over to work, she can pop the table up halfway and work on her laptop or use this computer. 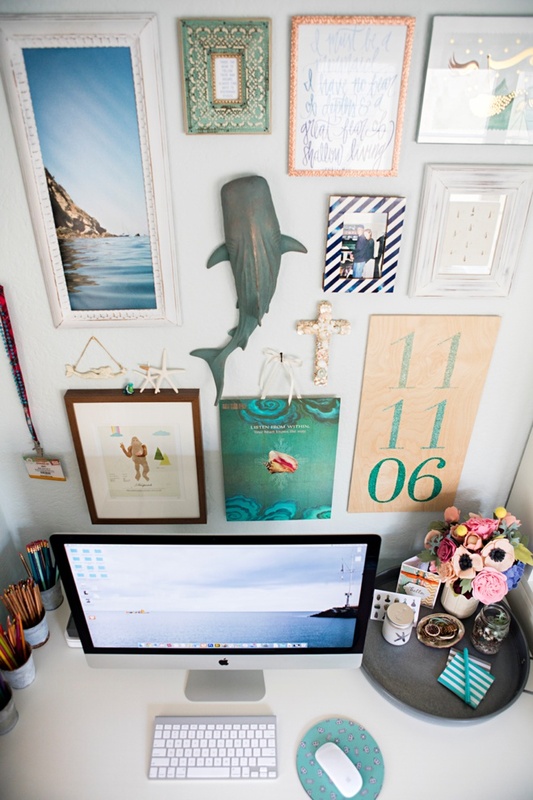 This space-saving table is an awesome, multi-purpose workspace for me. 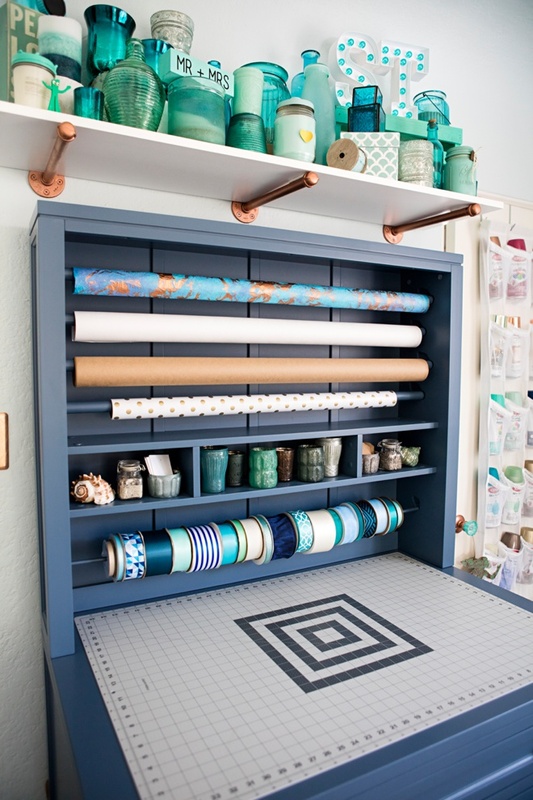 Although this piece is designed to be a Gift Wrap Hutch, I have a better use for it – shooting DIY’s! Shooting made simple; I pick the background paper that I want and while keeping it on the top rung, I pull the paper down to create a seamless backdrop. The window light hits it perfectly and this station cleans up in a snap… of course it’s a fabulous place to wrap gifts too. 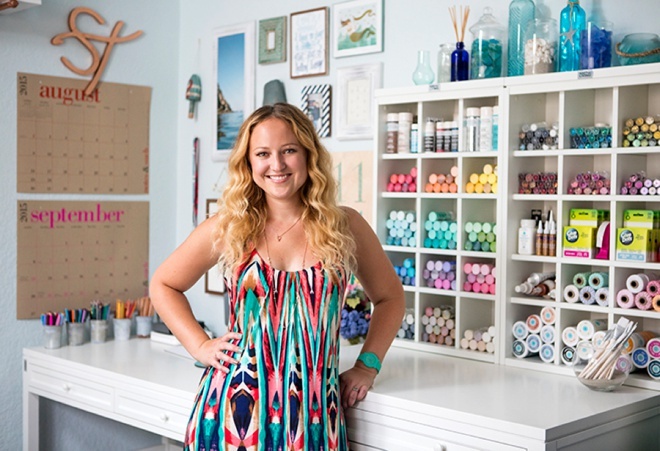 Tips on how to design a great craft space. 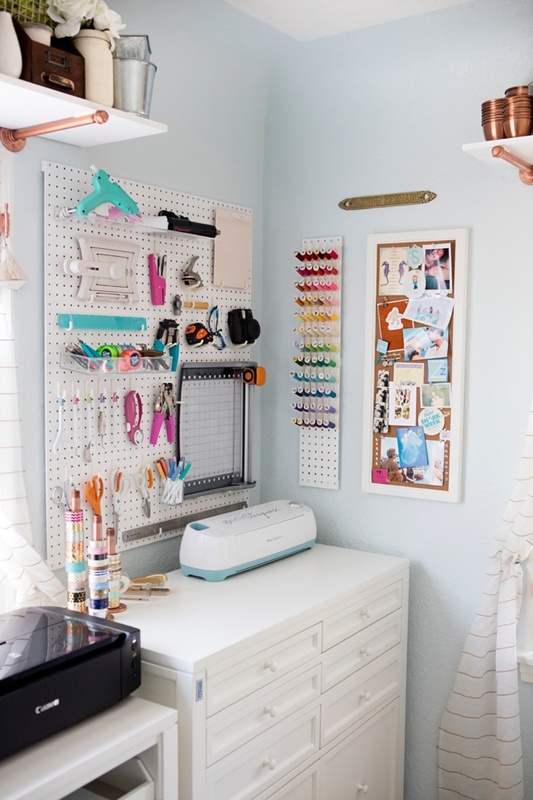 5 secrets to a beautifully organized craft room. A look into Martha Stewart’s personal craft room. Here are a few pics from my phone during my furniture process. 1. It actually took 4 – UPS trucks to deliver my furniture. Two trucks held the items but four men came to help unload; this image is about half of the boxes! 2. It was easier to get at this screw if I climbed inside. 3. Painting my peg board in the baking sun. 4. Turquoise tools are always a good thing. 5. The first piece of furniture I put together was the collapsible craft table. 6. Building and hanging is messy! Special thanks to Martha Stewart Living™ and Martha Stewart Crafts™ for partnering with us on this project! FYI: there are a lot of things going on in this space and I tried to credit everything but I know I’ve missed some things – if you have a question about anything that you see here, please don’t hesitate to ask! All images copyright of SomethingTurquoise.com®. 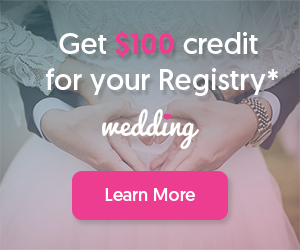 If you’d like to share these images, please do! 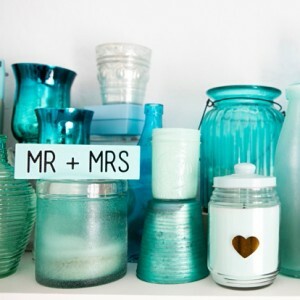 Guidelines: only 1-2 images can be shared at one time, in their original format, with a direct link to this exact post including that express credit for the image and idea is given to “Something Turquoise”. 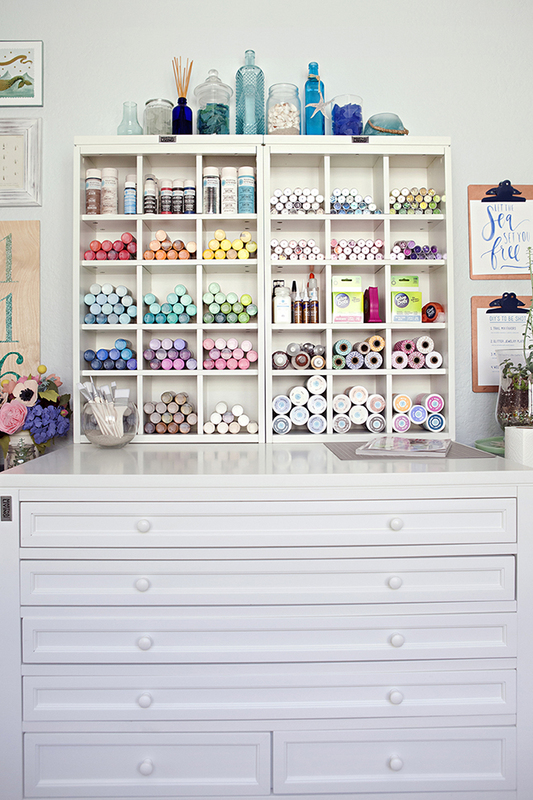 I partnered with Martha Stewart Living™ Omnimedia, Inc. for this craft room furniture and many of the craft supplies pictured. All expressed opinions and experiences are my own. You guys are in for the an incredible treat today as the Martha Stewart Living™ team is handing out a combined $1,000 of their amazing products to three very lucky winners! First up we have my favorite, the Martha Stewart Living™ Craft Space Collapsible Craft Table in Picket Fence white, valued at $499. This table is large and in charge and will change your crafting life – make sure to visit the link above for the table dimensions to confirm that it will fit in your space if you win! 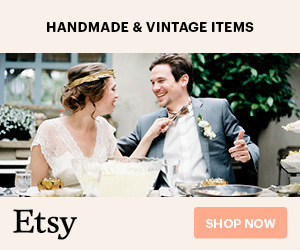 Next we have two Martha Stewart Crafts™ craft bundle prizes, the first being the ENTIRE line of Martha Stewart Crafts™ Vintage Decor Paints (including waxes, brushes and stencils, WAY more than what you see in the picture below – those are only the items from the line that I own) valued at $375 – how awesome is that!? 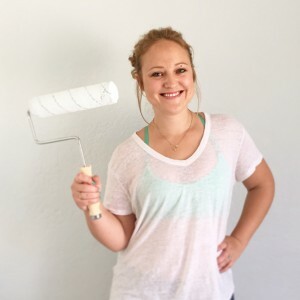 The best thing about this paint is it requires no surface prep – so transforming furniture is a breeze! Last but certainly not least, we also have a huge bundle of Martha Stewart Crafts™ scrapbooking supplies valued at $130… from paper to glitter and glue galore – you’re going to love this stash! Use the individual Rafflecopter Widgets above to enter. All contests end on Friday, 8/21/15 at midnight, PST. Winners chosen at random. Winners will be contacted via the email address that they provide to the Rafflecopter Widget. If the winner doesn’t respond to our contact email by 8/26/15 at midnight, another winner will be chosen. Winners will be announced here within this blog post no later than 8/31/15. Only one #stcraftroom sweepstakes winner per household. Readers are allowed to enter to win all 11 prizes, but can only win once during the Sweepstakes period. Available to US residents only. Must be at least 18 years old to enter. Click here to read the official rules surrounding all three Martha Stewart Living™ Omnimedia, Inc. prize packages.